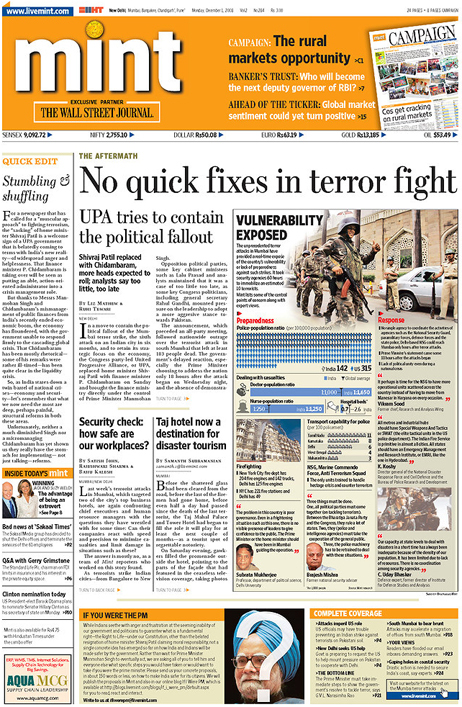 Above: Mint, published by the Wall Street Journal in India. 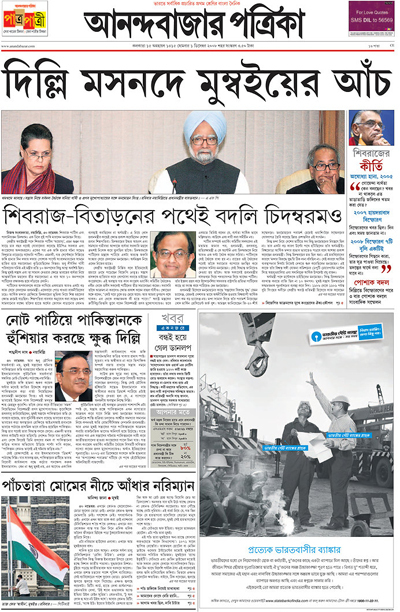 Above: Anandabazar Patrika, from Calcutta, India. This entry was posted by Erik Brandt on Monday, December 1st, 2008 at 10:30 AM	and is filed under Aktuell, Education, Globalization, Graphic Design, International, News Links, Newspaper Front Pages, Typografika, Typography.